Who helps power your supply chain? Pilot Freight Services works with customers to effectively help improve efficiency, customer service and overall performance. 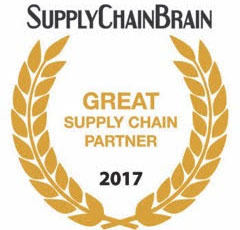 In fact, Pilot’s outstanding service and solutions in this area have prompted industry professionals to recognize us as one of the 100 Great Supply Chain Partners as compiled by SupplyChainBrain, a comprehensive supply chain management information resource. All of Pilot's efforts focus on helping our customers succeed, thrive and grow. And since partnership is the core of everything we do, success only comes when we’ve made a significant impact on a customer’s efficiency and supply chain productivity. Pilot employees nationwide work hard to deliver value to customers every day. We couldn't be prouder of this recognition!